A long weekend for schools presented us with an opportunity to visit Belur and Halebeedu temple which was on our list for quite some time. 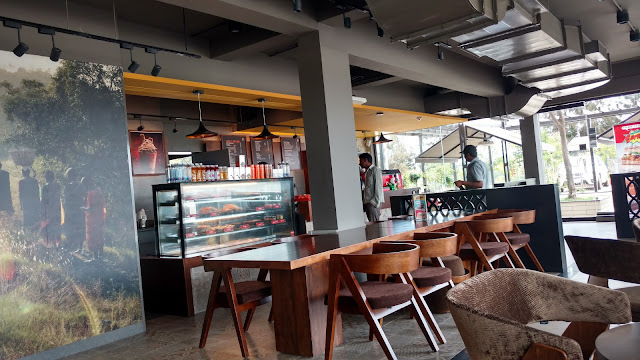 We decided to make it a trip to Chikmagalur. 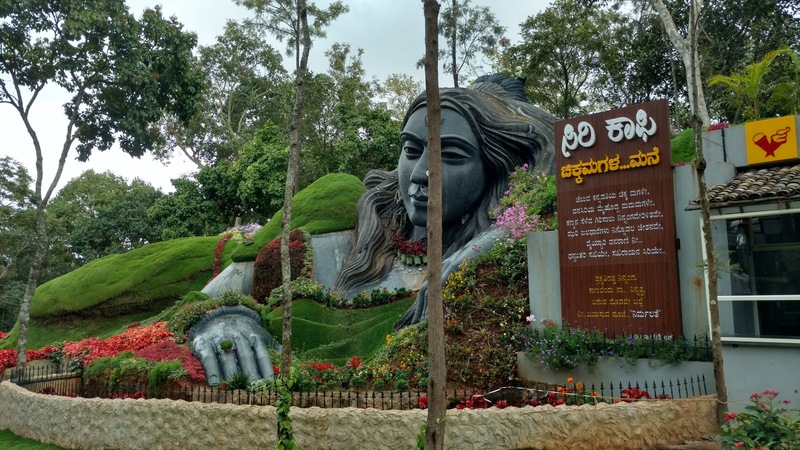 The plan was to stay in Chikmagalur and visit temples as and when the opportunity arose. lazily and could get out of home only 6:00 AM. We were straight on to NICE road and exited at Tumkur road. 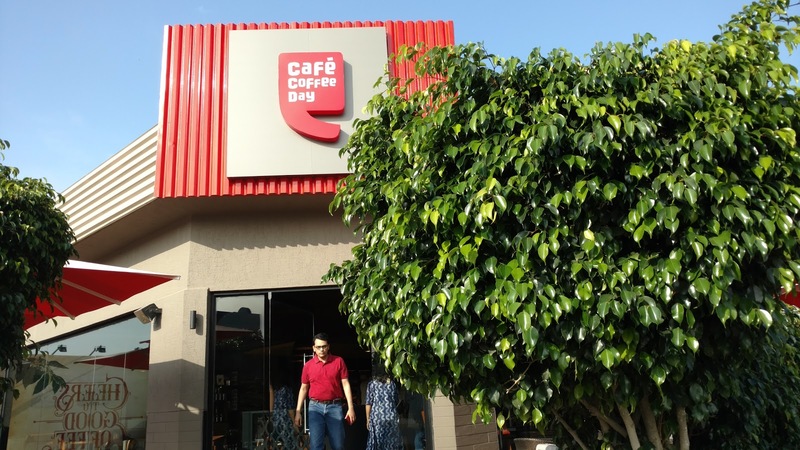 After driving for around 2 hours we saw a Cafe Coffee Day and stopped just for the bio break. 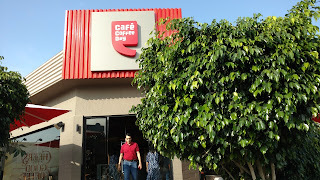 I have for many days felt that CCD should improve on its food offering and it can become a great highway stop. Unfortunately frozen, microwaved food is not my idea of breakfast, so we just had coffee and continued. 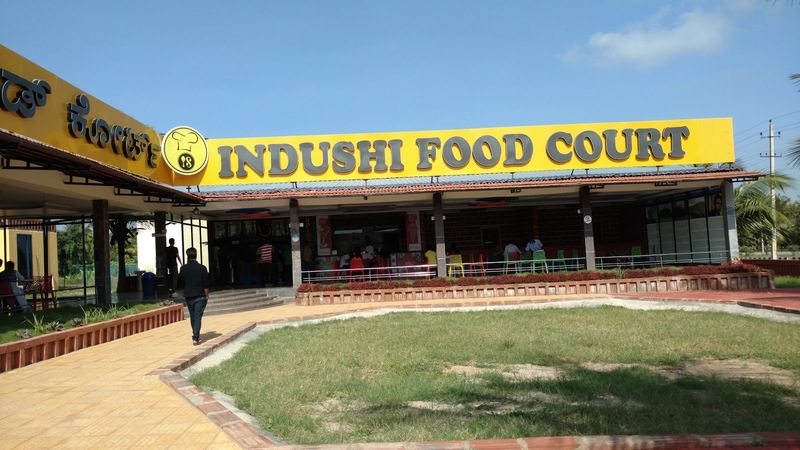 Just a few kilometers from CCD is a food court called Indu-Shi food court. This place as a Up South and few other eateries. We stopped here for breakfast but the service was extremely slow here. It resulted in being a long stop than what we had planned, nevertheless, we had our food and continued on. The first planned stop was Halebeedu and based on the availability of time we had planned on doing Belur. 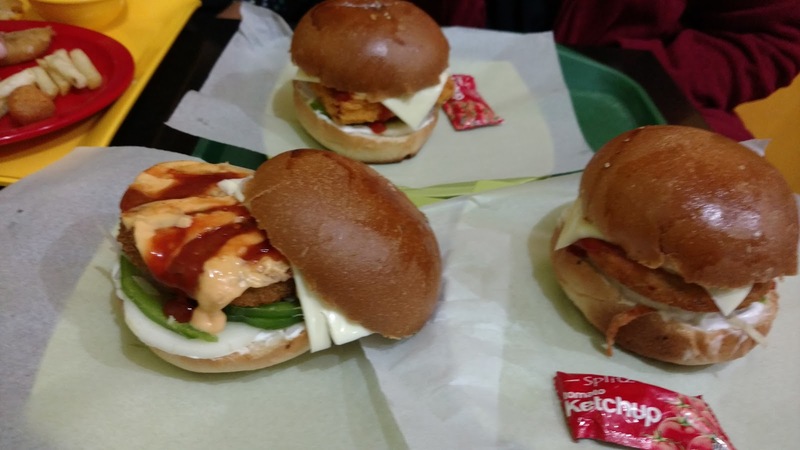 If it became too late, we thought we will do Belur while on our journey back. One doesn't need to enter Haasan town. You can continue on NH-75 all the way till you cross Haasan town. Then you take a right turn and join Belur road. Google maps shows this route properly if you set the destination as Belur. There is a Karnataka Bank ATM around 10 kilometer before Belur where you take a right turn to reach Halebeedu. Halebidu, Halebeedu or Dwarasamudra was the capital of Hoyasalas and after Belur had the finest Hoysala temple with twin sanctuaries. The temple was created by Ketamalla who was a commander of King Vishnuvardhana as mentioned in the inscription of 1121 AD. The temple stands on a platform and one of the sanctuaries has a Linga. This temple was built in the memory of queen. The frontal navaranga of the two sanctums has a connecting open space. The navaranga has a wonderful polished and intricately carved rows of pillars, monolithic, more than 15 feet in height. Garbhagrihas of both the temples have Nandis in the separate pavilions. The platforms of the temples have interesting motifs on its side, the base of the main temple has rows of elephants in relief, a row of lions, foliage, galloping horses, scenes of mythological episodes from Mahabharata and Ramayana. There is a row of taller figures of gods and goddesses and various manifestations of Vishnu. The two garbhagrihas are stellar in shape and zigzag exterior wall design gives wonderful light and shade effect to the figure which look different at different times of the day. Here are some of the sights of the temple. ple time we decided to continue to Belur. It is around 24 kilometers from Halebeedu and it took approximately 40 minutes to reach there. Belur temple complex is a collection of many temples. The picture on the right lists all the temples that exist in Belur. The main temple is the Chennakeshava Temple. Belur referred to in inscriptions as Velapuri was the first capital of Hoysalas. Hoysala Vishnuvardhana (AD 1108-1152) built a temple for Vijayanarayana in Belur in the year 1117 AD in commemoration of his victory against the Chola viceroy of Talakad. The temple if popularly known as the Chennakeshava temple. An inscription on the pedestal of the Vijayanarayana image states that the image was caused to be made by king vishnu. Raised on the platform, the temple made of soapstone consists of a garbhagriha(Sanctum), a sukhanasa(Vestibule) and a navaranga. The ground plan of garbhagriha is star shaped. The temples here have names of sculptors inscribed with the sculptures. 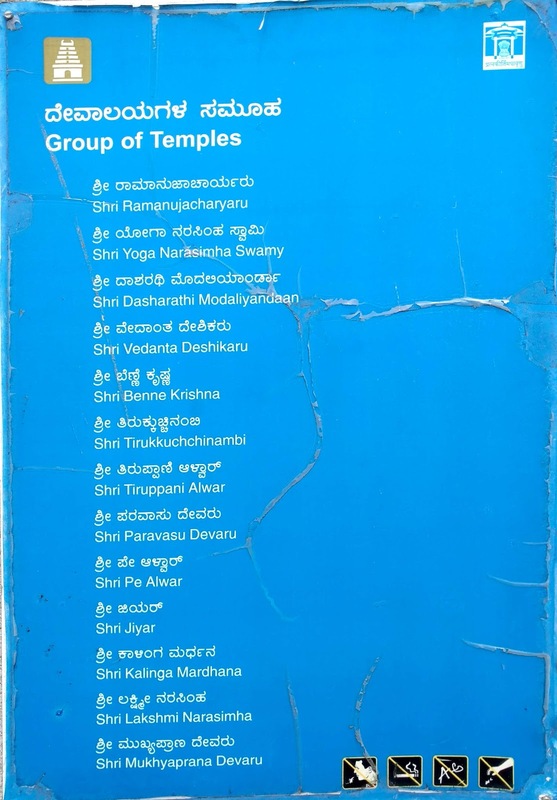 Some of the names are Vishnuvardhana, Dasoja, Chavana, Chikka Hampa, Malliyana, Eechana, Maloja, Kenchaalliyanna, Malla and Nagoja. This temple has a garbhagriha surmounted by a tower. According to an inscription, the original damaged tower was repaired in 1387 by Mudappa, a minister under the Vijayanagara King Harihara II and a metal Kalasa was fixed on it. The front portion of this temple is a later addition built by the Dalavayi family of Kalale. The Kappe Chennigaraya temple is situated to the south of Keshava temple complex ahs two cells. The main cell has a beautiful sculpture of Chennakeshava 6.5 feet high over a pitha. There is an inscription saying that the senior queen Shantala had consecrated the temple in 1117 AD. This temple is a small and compact shrine with the outer walls containing beautiful sculptures of Vaishnava and Shaiva faith. The temple of goddess Andal situated to the north-west of Keshava temple is also known as Ranganayaki temple. Kalyani is situated in the north east corner of the complex. This tank is known as vasudeva sarovara. it was built in 1175 by Ballala-II. Finally we finished with Belur temple complex by 1:45 PM and started towards Chikmagalur. The roads and narrow, undivided but good surface quality. We reached our destination by 2:15 PM. Eating in Taj Gateway got extremely boring so we decided to find something different. 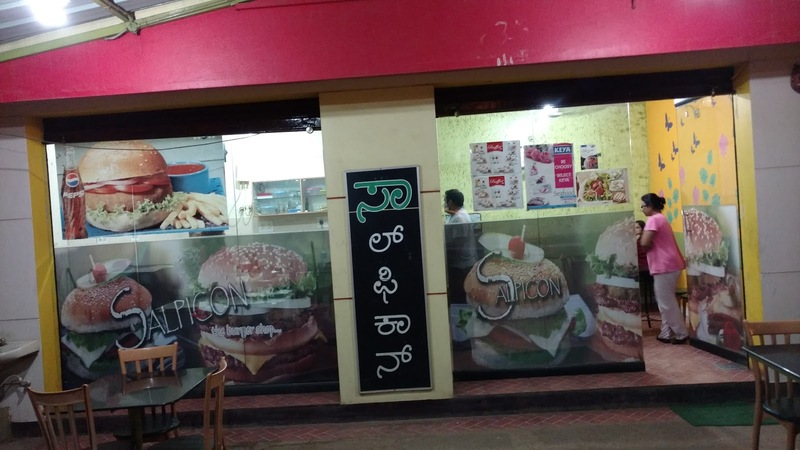 Here is a restaurant called Salpican that serves good burgers in Chikmagalur. We decided to trek Mulyangiri peak. This being non-rainy season, it is easily motorable till the peak, but we parked our vehicle at Seethlyangiri and trekked from there. The trek is approximately 1.5 kilometers through the trail. The trail may be hard to follow if it rains. The total trek took approximately 2 hours. We started back from Seethlyangiri at around 3:30 PM. There is a cafe at the bottom of the hill called Siri Cafe, we stopped there for lunch. It was an interesting trip. I was able to do it on a single tank full with no need for refuelling anywhere on the way. All the toll booths on the way are FasTag enabled.